Enjoy the top 19 famous quotes, sayings and quotations by Felicia Hemans. And through their lowly guise. A passion for flowers, is, I think, the only one which long sickness leaves untouched with its chilling influence. Life's best balm - Forgetfulness! The stately Homes of England,How beautiful they stand!Amidst their tall ancestral trees,O'er all the pleasant land. Want to see more pictures of Felicia Hemans quotes? 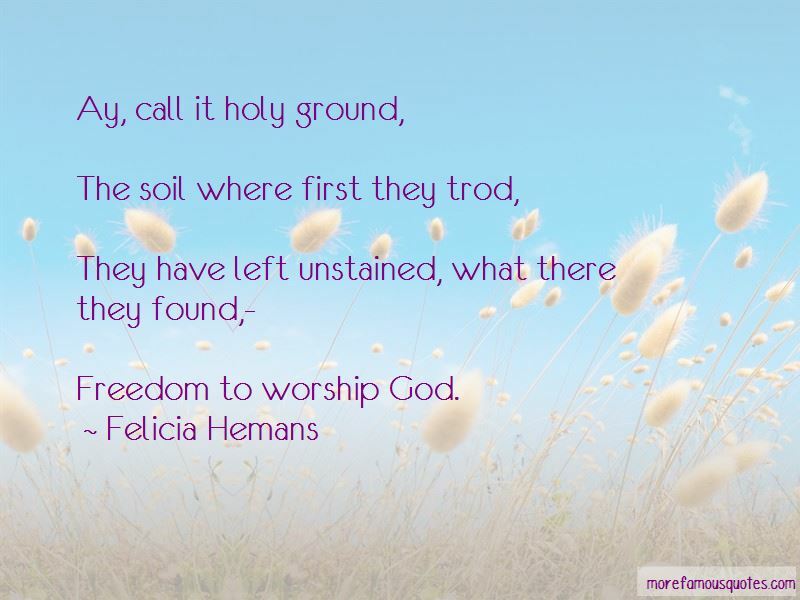 Click on image of Felicia Hemans quotes to view full size.